Adrenal fatigue is a medical condition that causes the adrenal glands to slow down and function at a less than optimal level. Symptoms associated with this condition include intense stress, extreme tiredness and a general feeling of malaise. Individuals who suffer from adrenal fatigue often rely on stimulants such as coffee and cola to help offset the symptoms; however, they usually make them worse. One herb that has been found to be effective for adrenal fatigue is maca root. Maca, scientifically known as lepidium meyenii, is an adaptogen herb native to the high Andes mountains of Peru and Bolivia. It is used both as a root vegetable, similar to a radish, and as a medicinal remedy. Maca is a nutritional powerhouse containing proteins in the form of polypeptides, fiber, lipids including the fatty acids linoleic acid, palmitic acid, oleic acid and sterols; vitamins and minerals including thiamine, riboflavin, vitamin C, calcium, magnesium and potassium, and amino acids such as aspartic acid, glutamic acid, serine, glycine, arginine, valine, phenylalanine, tyrosine and threonine. According to the website, Drugs.com, maca has been used for centuries to treat anemia, tuberculosis, depression, menstrual disorders and adrenal fatigue. It is also proposed to help enhance fertility and sexual performance. Maca can be found as a whole food, powder, liquid, tablet, or capsule. Maca root is an adaptogen herb, which means that it helps only where it is needed. For instance, if your body is overproducing a hormone, it regulates it back to normal and if your body under-produces a hormone, it helps raise the level until it is balanced. The adrenal glands are part of the endocrine system and are managed by the hypothalamus and the pituitary glands. When someone is suffering from adrenal fatigue, their adrenal glands are unbalanced causing excessive tiredness and horrible stress. Maca root, when used consistently, has the power to nourish and stimulate the hypothalamus and the pituitary glands which in turn brings balance to the adrenal glands. This process helps those who are suffering from adrenal fatigue feel better and have less symptoms. In order for maca to be an effective remedy for adrenal fatigue, Drugs.com recommends 450 milligrams of maca root be taken at least 3 times per day. With its variety of forms, maca root is easy to incorporate in your daily diet. Maca root, with its tangy, nutty flavor can be eaten raw or cooked as a vegetable. It can also be used as a supplement by swallowing the tablet or capsule or by stirring the powder into water, soup, or herbal tea. The powder can also be put into prepared smoothies, nutritional shakes, mixed in honey and used as sweetener, sprinkled over fruit, popcorn or other vegetables. There are no known adverse effects from eating maca root. If used as a supplement, a doctor should be consulted to make sure there are no contraindications. Individuals who have thyroid conditions should avoid using maca in any form because it may cause goiter which is the swelling of the thyroid gland. Since maca root is known to help with fertility, pregnant or breastfeeding women should stay away from it as well unless a doctor recommends it. 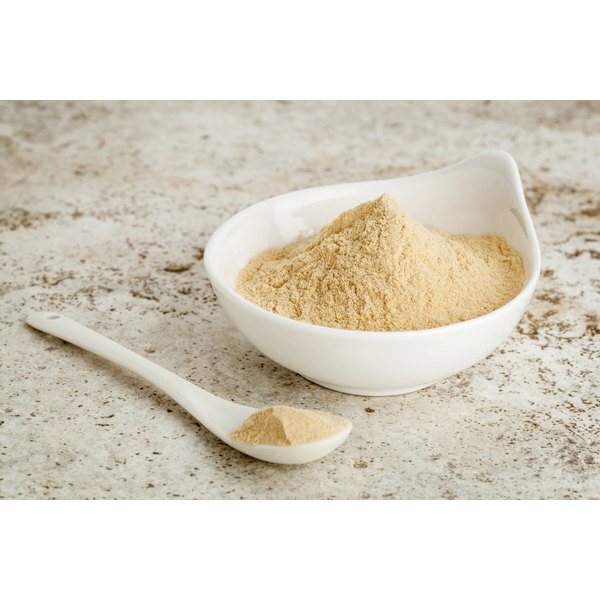 Natural Healthy Eating: Maca Root; Is it for You?